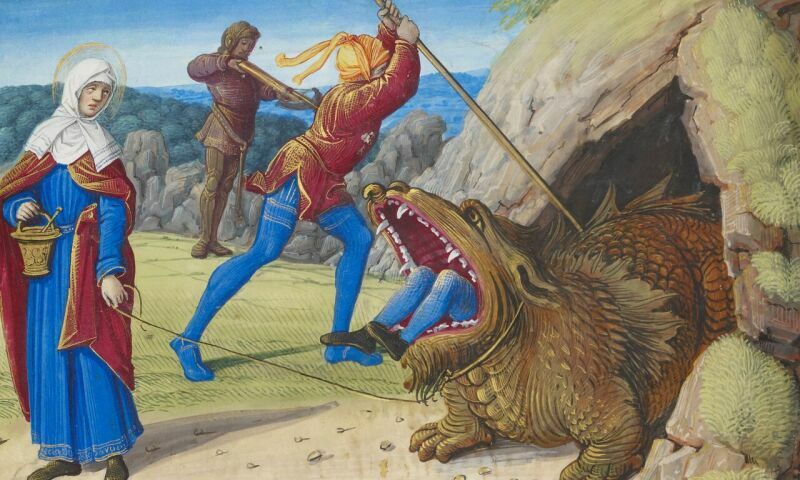 Jean Poyer, The Taming the Tarasque (detail), from Hours of Henry VIII, c. 1500. Bound vellum; 25.6 x 18 cm (10 1/16 x 7 1/16 in. ).